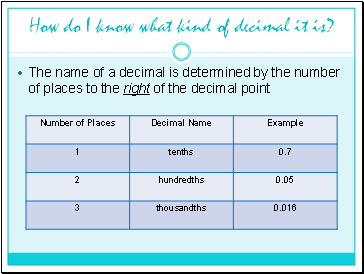 How do I know what kind of decimal it is? 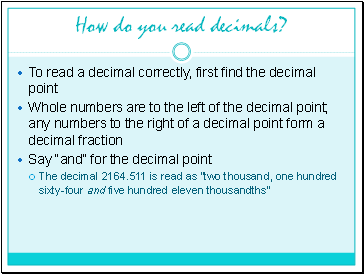 How do you read decimals? 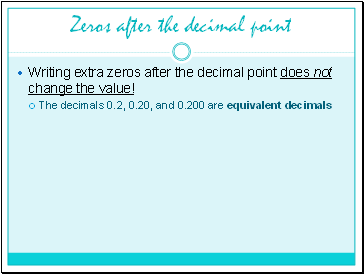 Writing extra zeros after the decimal point does not change the value! 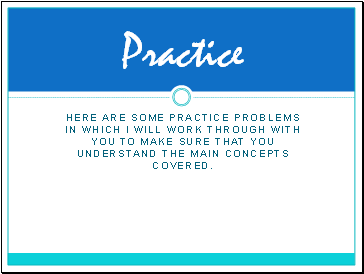 Here are some practice problems in which I will work through with you to make sure that you understand the main concepts covered. 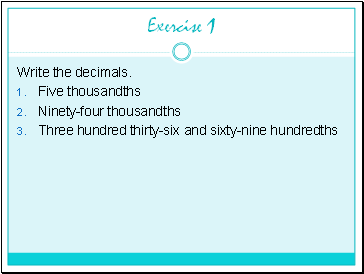 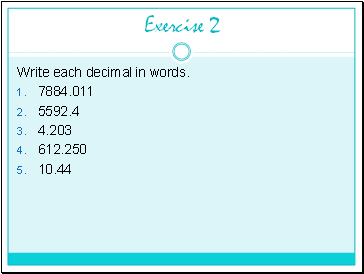 Write each decimal in words. 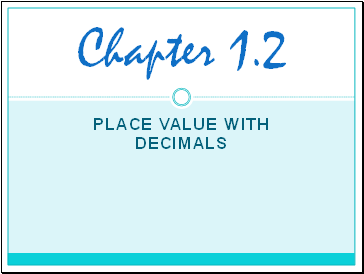 In what place (on the place value chart) is the underlined digit? 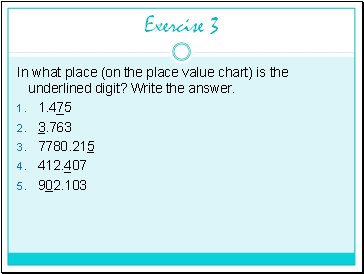 Write the answer. 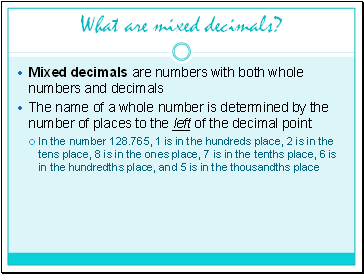 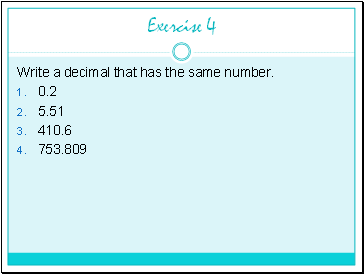 Write a decimal that has the same number.